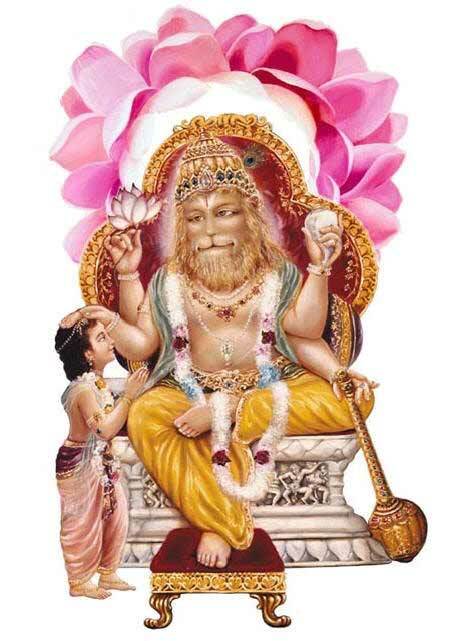 Sri Nrsimhadev and Bhakta Prahlad Maharaj. 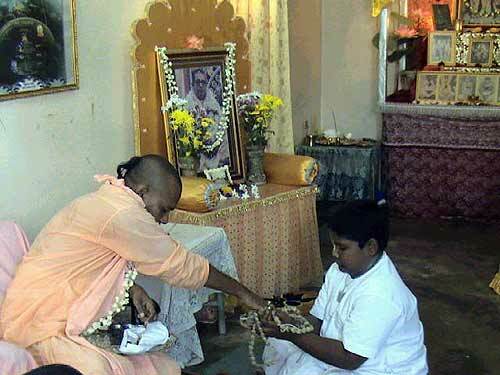 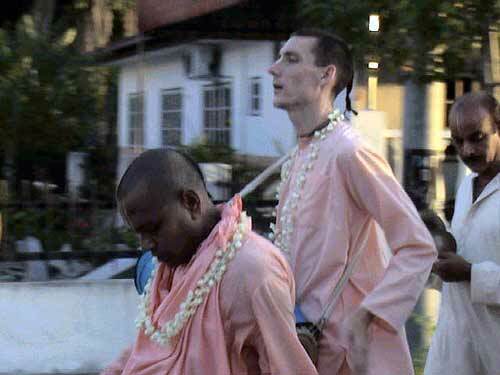 Revati Nandan Das, the eldest son of Baladeva Prabhu, receiving the connection of Srila Gurudev, His Divine Grace Srila Bhakti Sundar Govinda Dev-Goswami Maharaj, through Sripad Acharyya Maharaj. 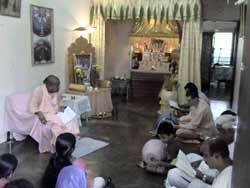 After the initiation, His Holiness gave a short talk and continued with kirtan. 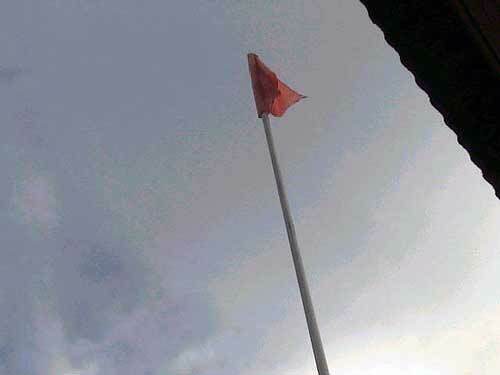 After putting up a new saffron flag in the evening, we continued with Nagar-sankirtan. 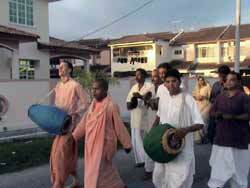 Nagar-sankirtan around our neighbouring housing estate. 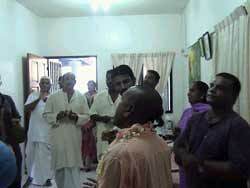 Inside the house of Bhakta Satwan Singh, who has been our friend and supporter for many years. 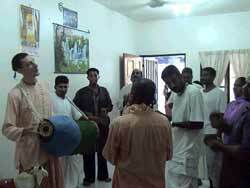 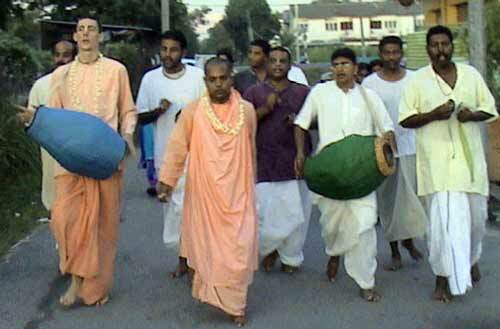 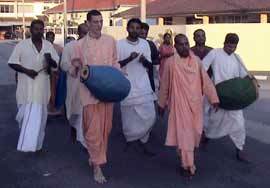 Nagar-sankirtan continues. 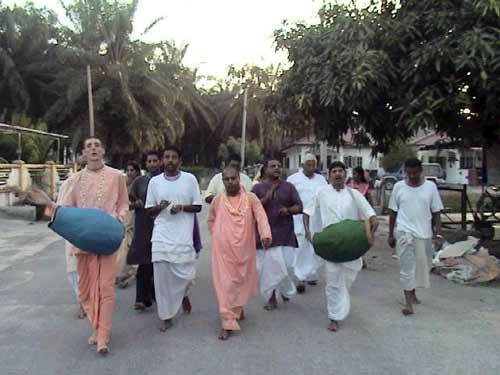 From right, Bhakta Satwan Singh, Rama Ratan Das, Krishna Bandhu Prabhu, Siva Krishna Prabhu, Sripad Acharyya Maharaj, Hari Krishna Prabhu, Rajiv Lochan Prabhu and Sadhu Priya Prabhu.